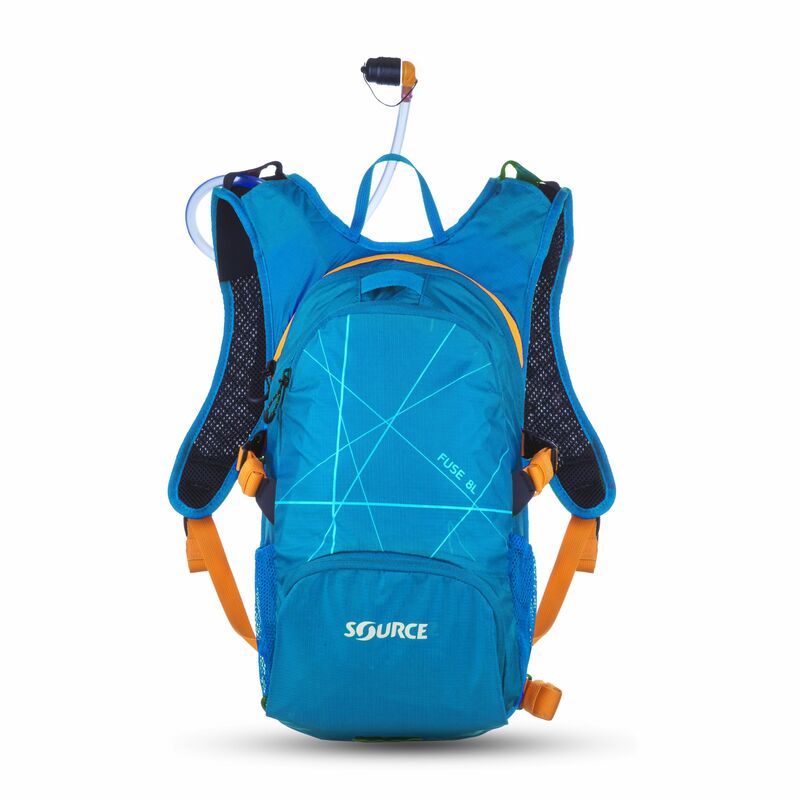 The smaller version of one our most popular new packs of 2015 gives you 8L of storage including our 2L Widepac and it comes in new colors Light Blue and Purple. 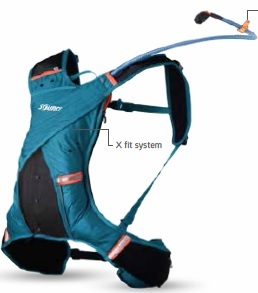 You decide on the Fuse you need, according to the amount of gear you're hauling on the trail! 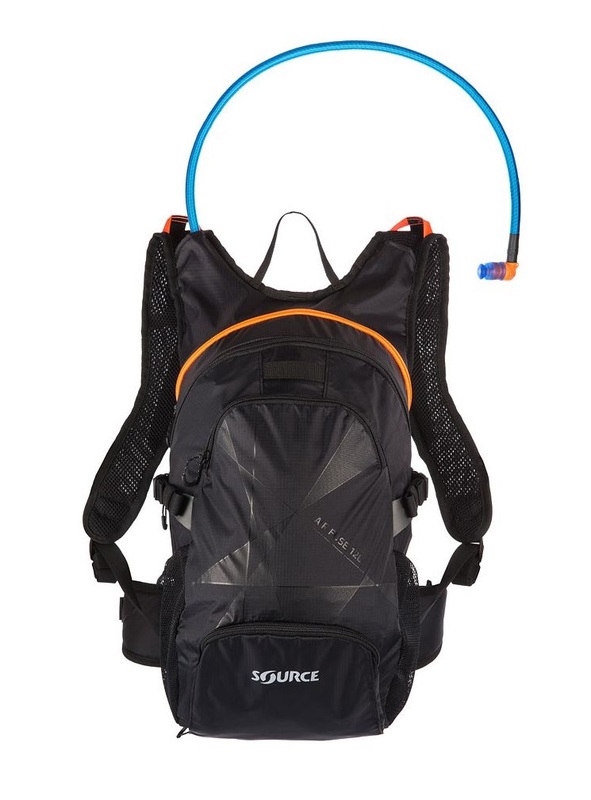 The Air Fuse takes our popular lightweight Fuse 12L Pack and adds a ventilated structured back for additional comfort, especially appreciated in hot environments. 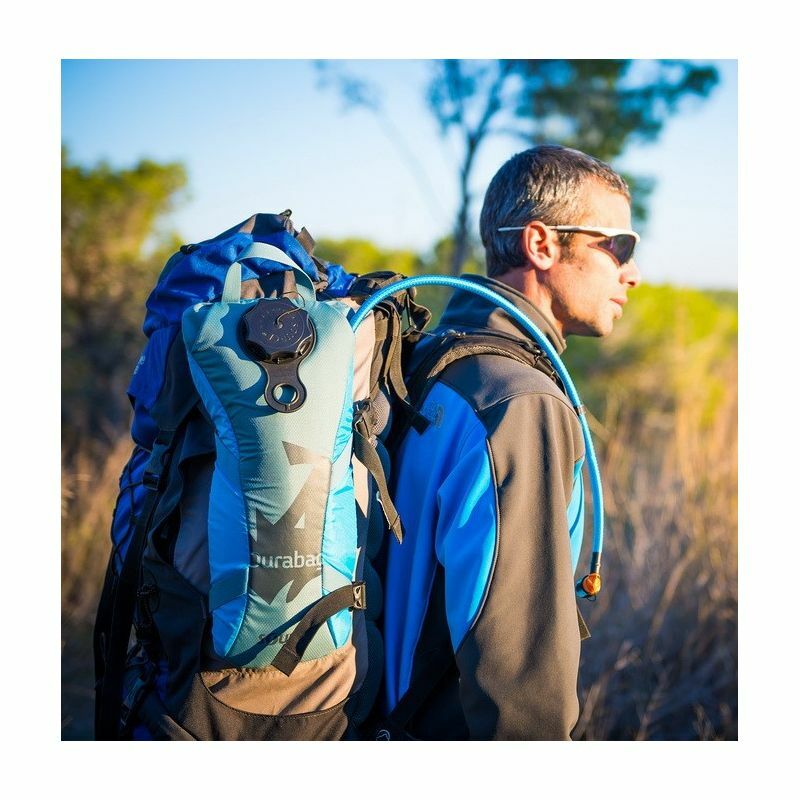 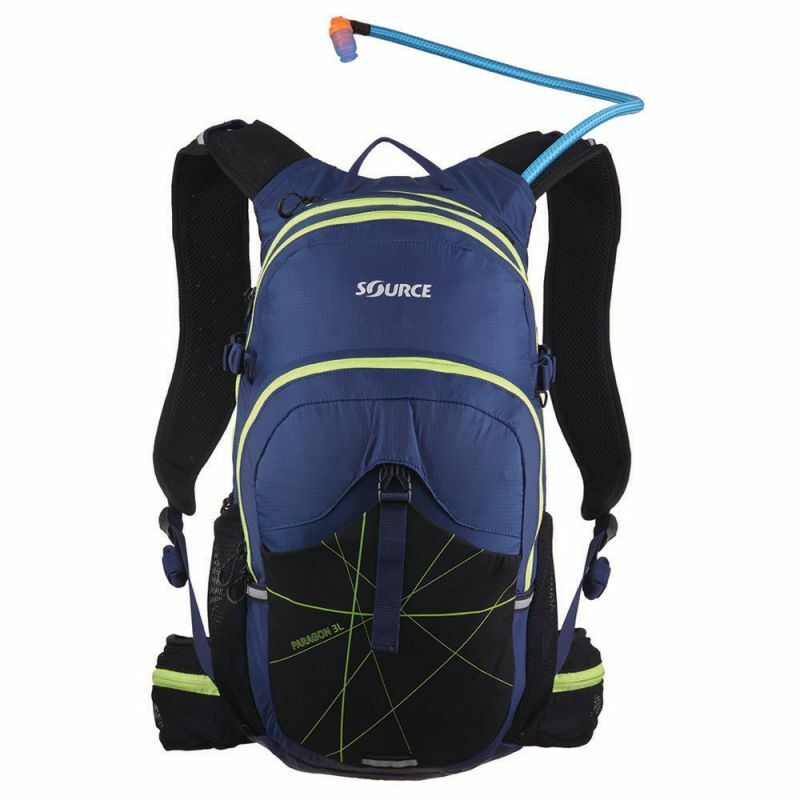 This makes the Fuse Air a finely balanced Hydration Pack providing light-weight simplicity with added comfort perfect for any outdoor activity. 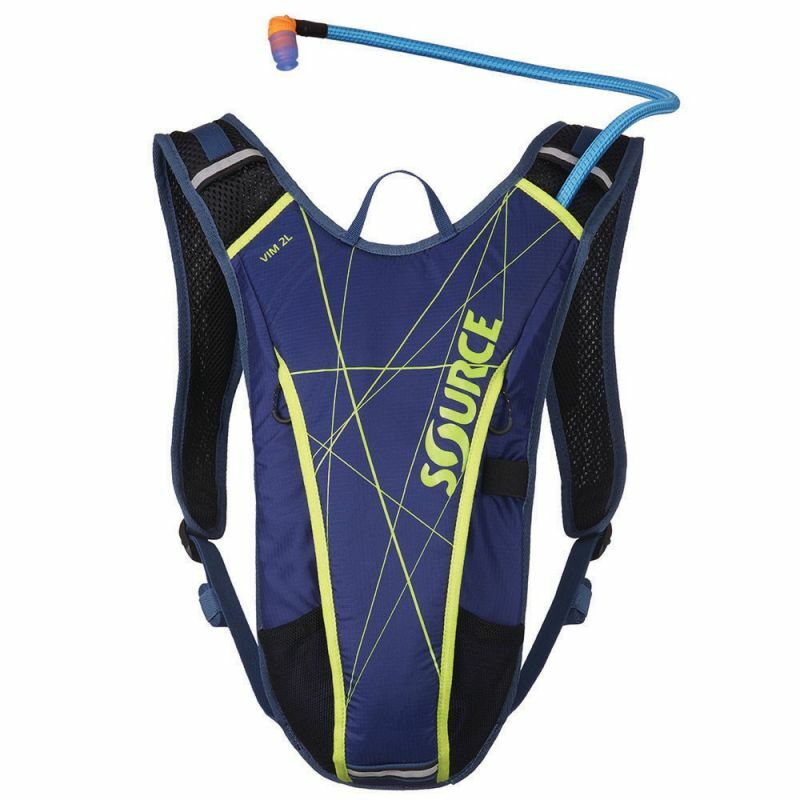 The smart design and options to expand and compress make the SOURCE Ride Hydration Pack a perfect companion for any outing. 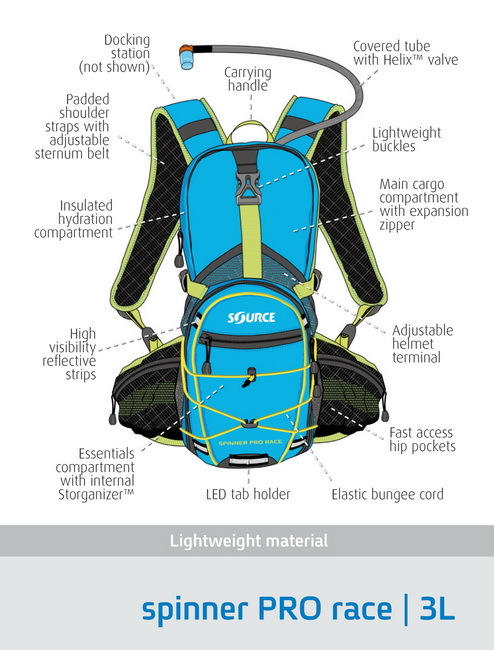 Spacious enough for long daytrips - lightweight and compact for shorter rides. 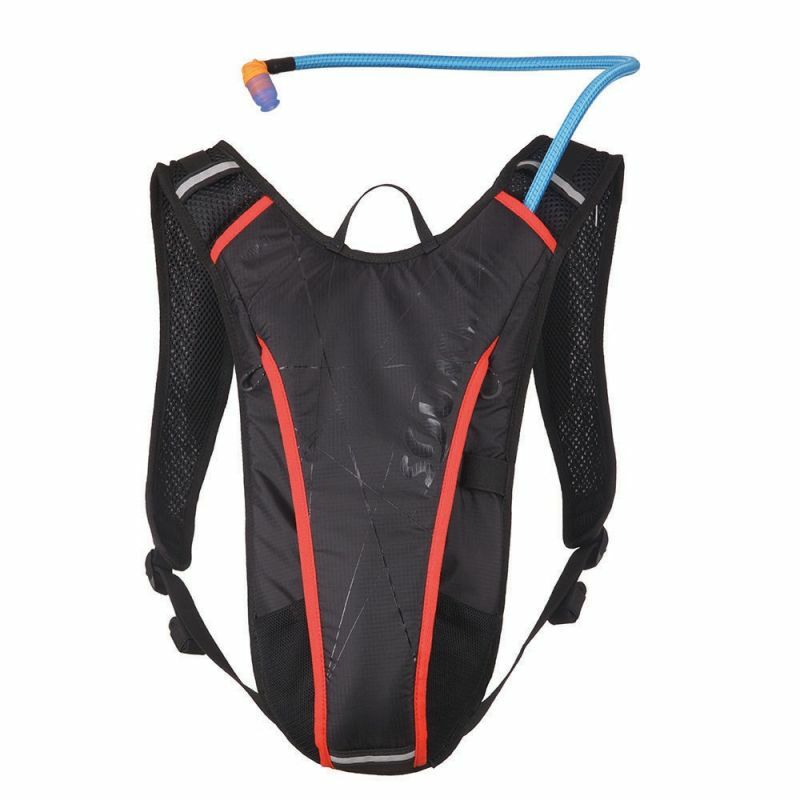 Low profile hydration pack ideal for endurance and extreme sports fits perfectly to the natural movement of your body thanks to the unique 'X-fit' straps concept. 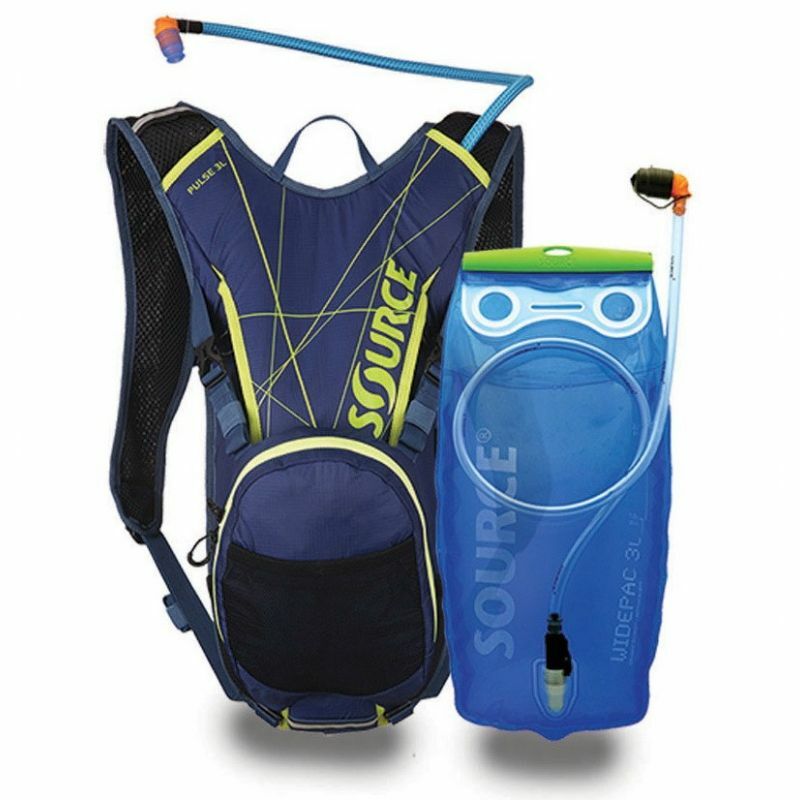 Comes with our new 2L Widepac LP (Low Profile) SOURCE Hydration System. 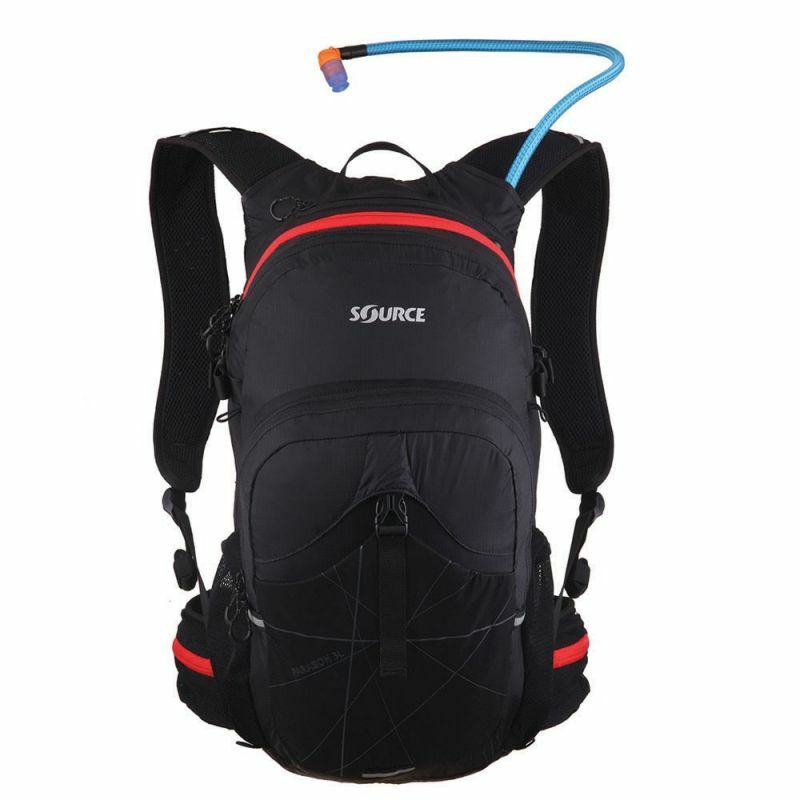 Super low-profile and lightweight solution. 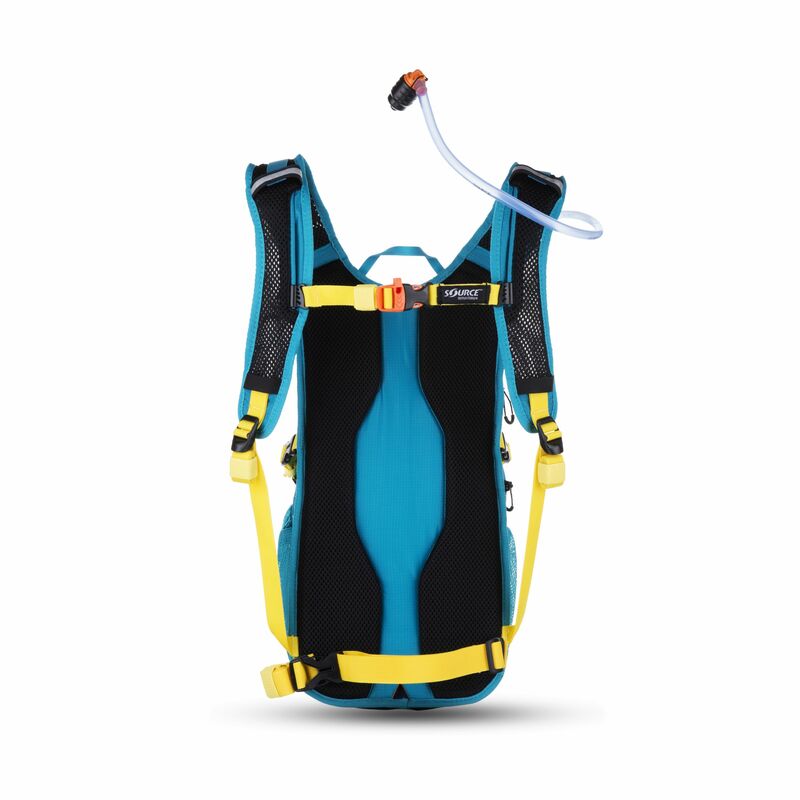 Choose 2L or 3L Hydration System to better fit your size and your needs. 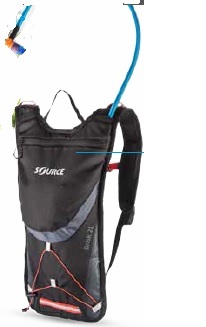 Flat outside pocket allows storage of essentials needed on the trail. 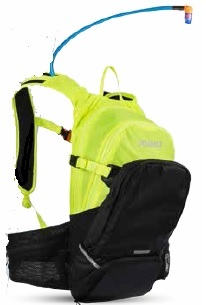 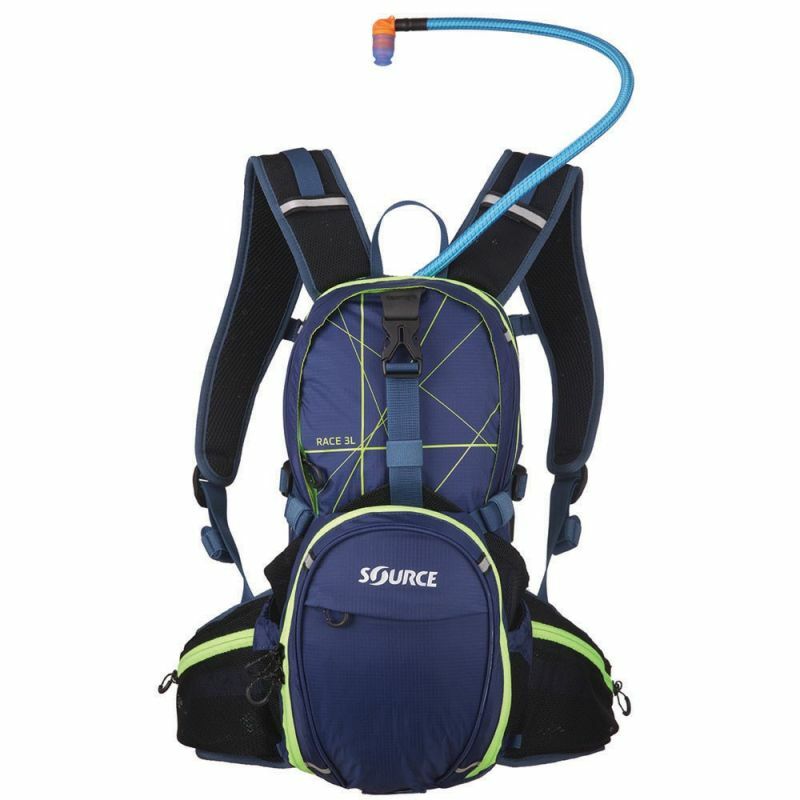 Pulse is a variable hydration pack ideal for biking, runs and hikes with need for little cargo. 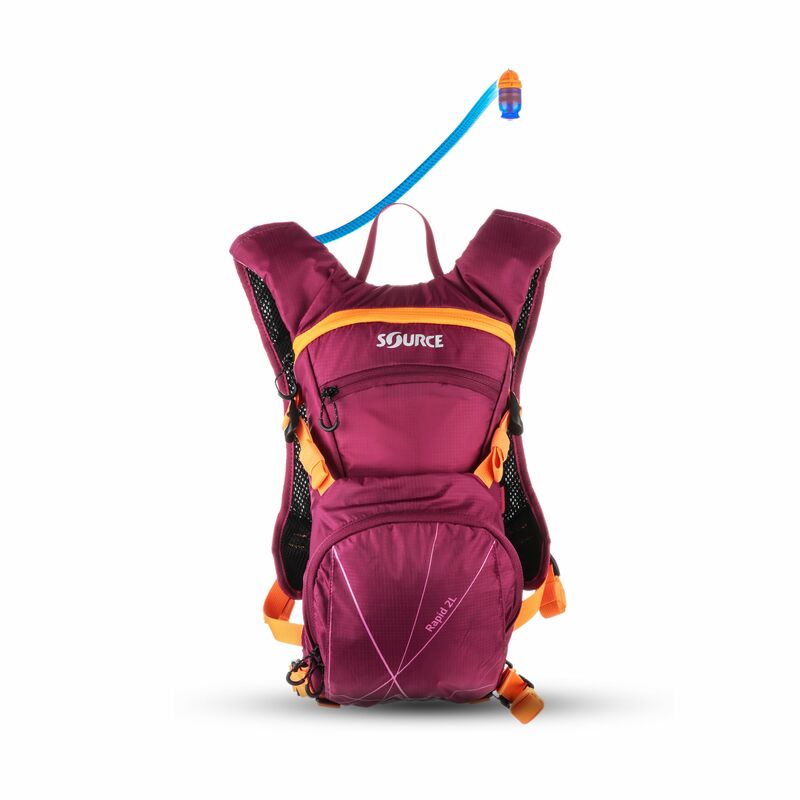 A detachable front pouch allows more storage space when you need it. 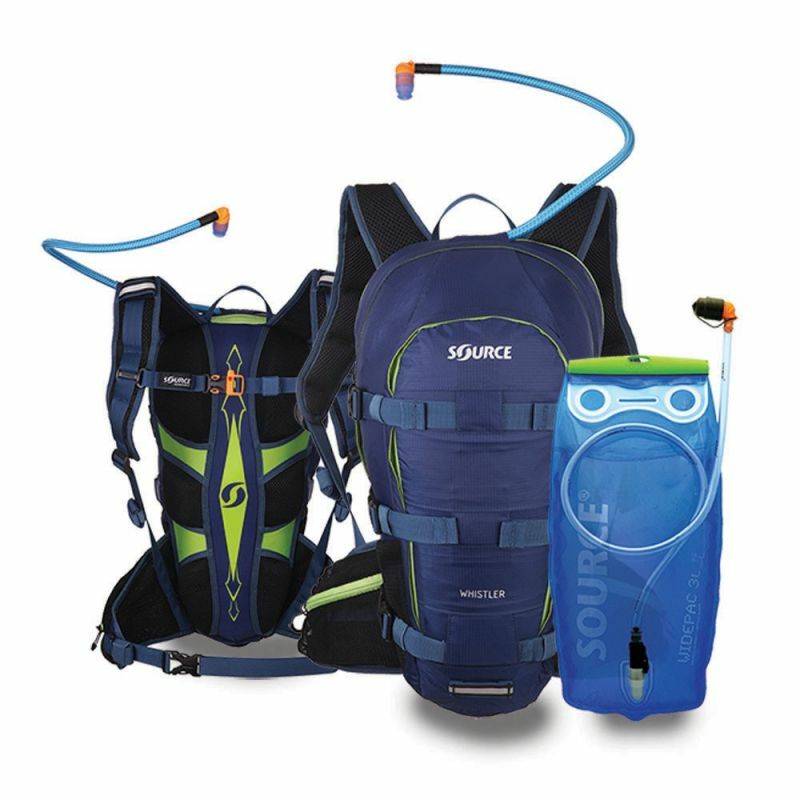 The Pulse Hydration Pack is available in two sizes with 2L / 70oz or 3L / 100oz Widepac™ Hydration System and 3L or 4L cargo capacity. 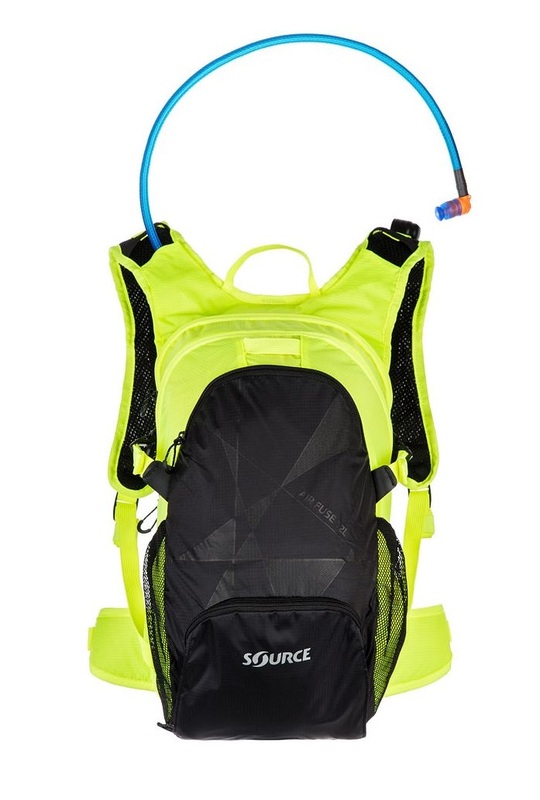 The Race features expandable cargo volume: A zipper keeps the pack compact when fastened, and allows plenty of storage space for equipment and nutrition when opened. 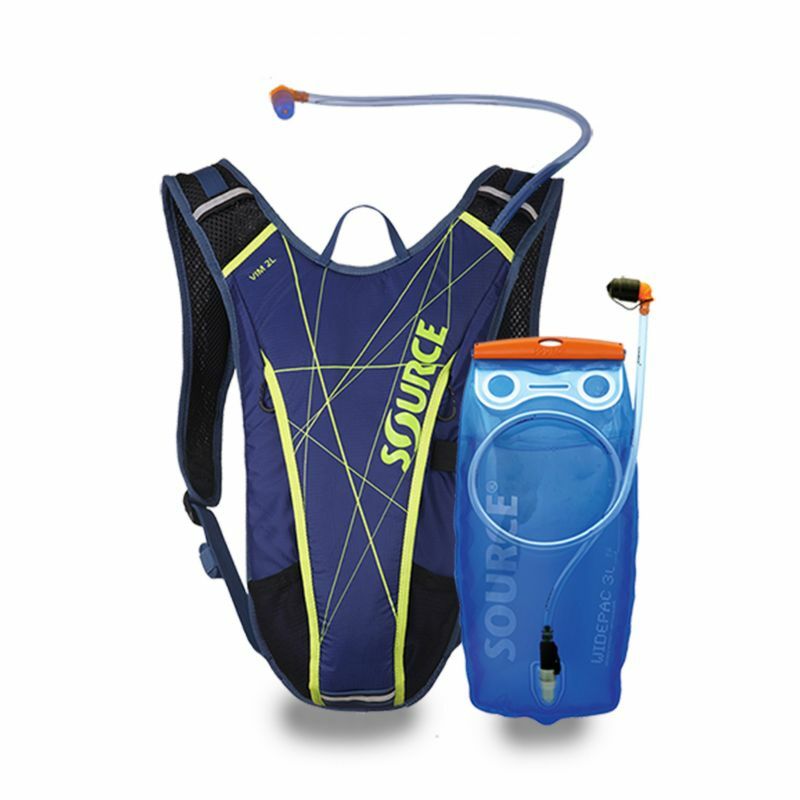 The front pouch includes organizers for tools and snacks. 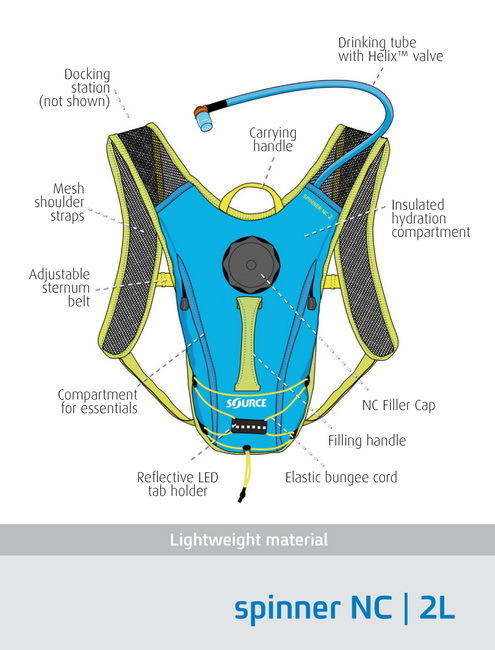 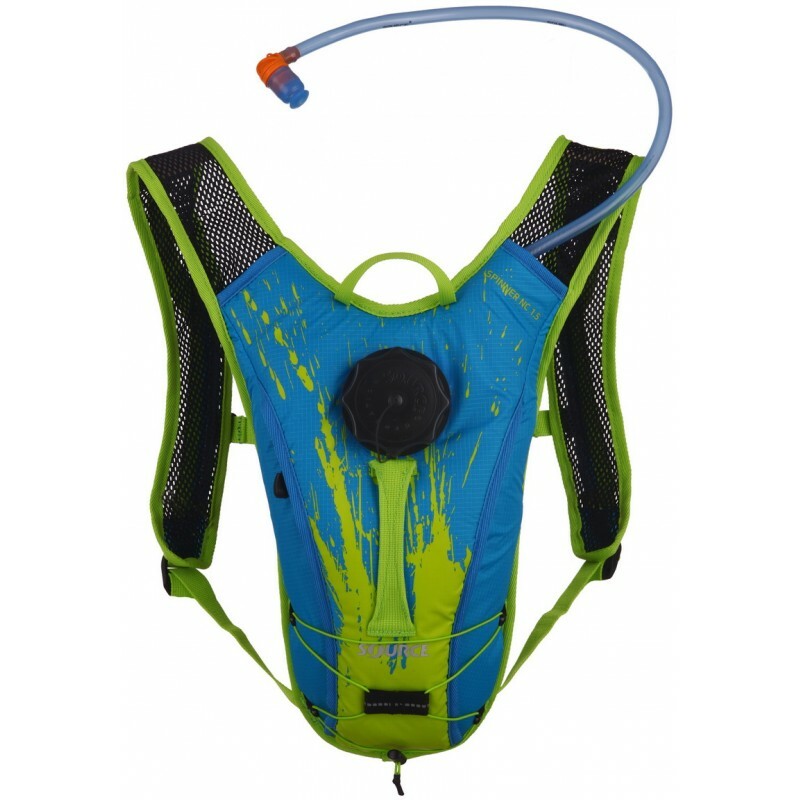 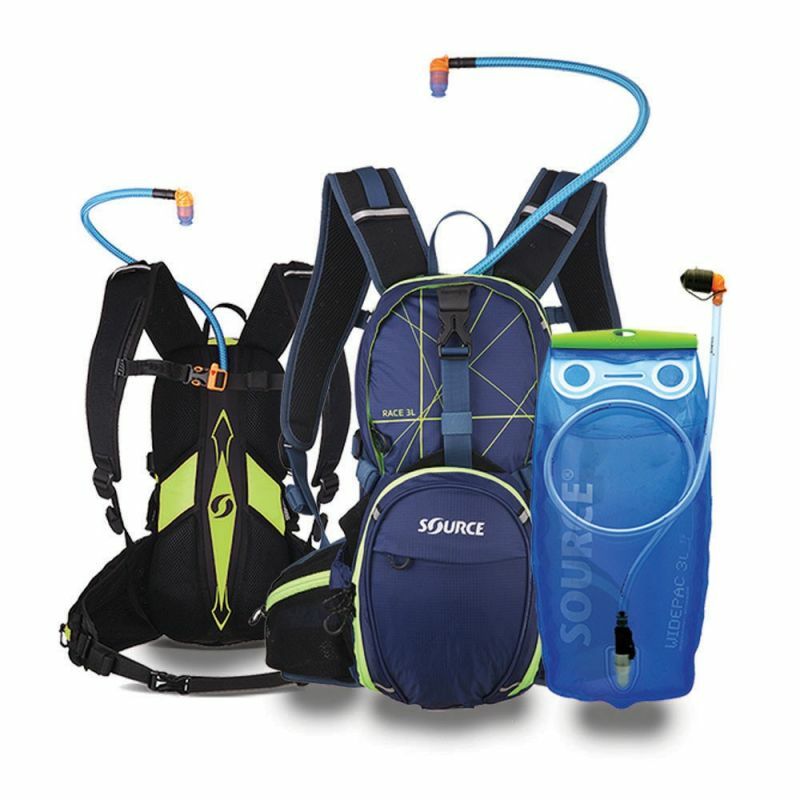 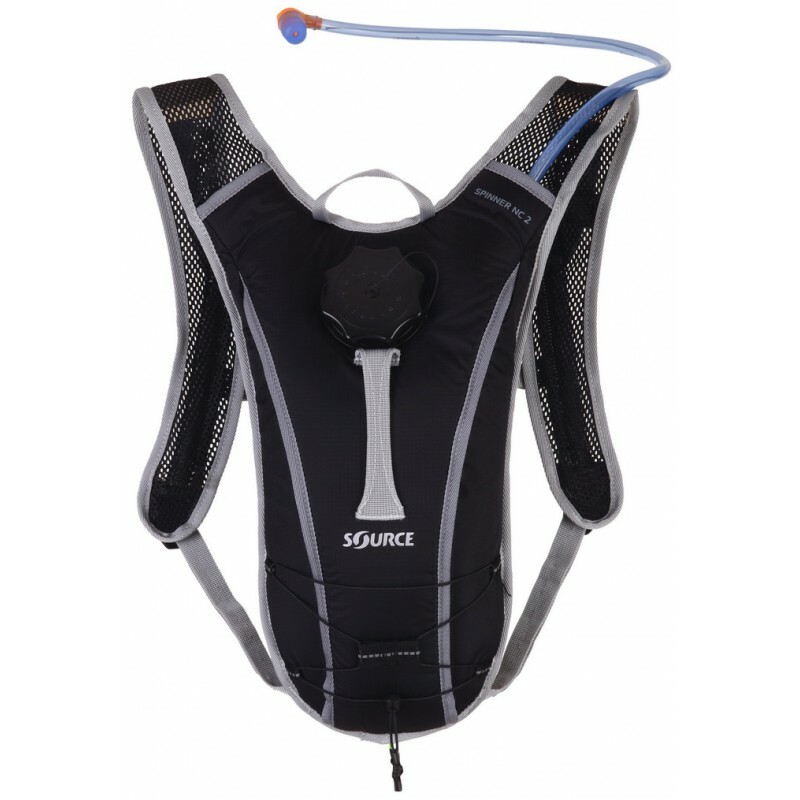 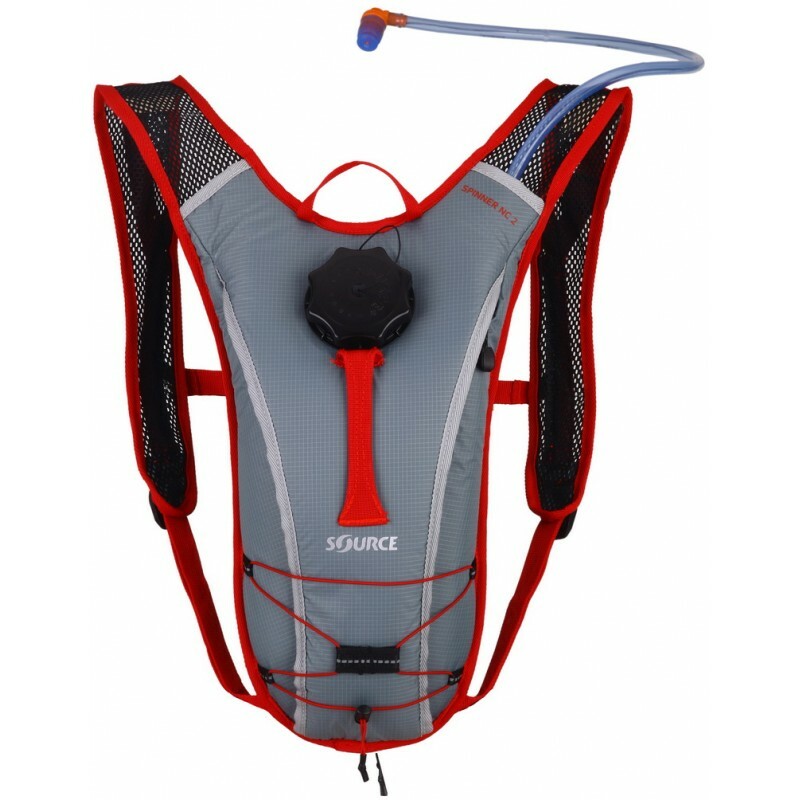 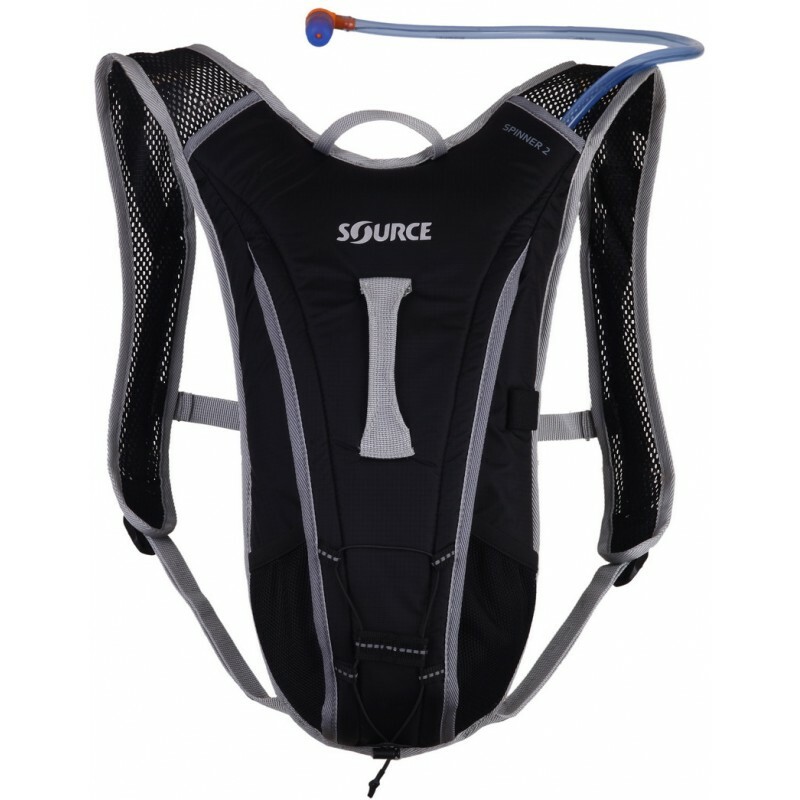 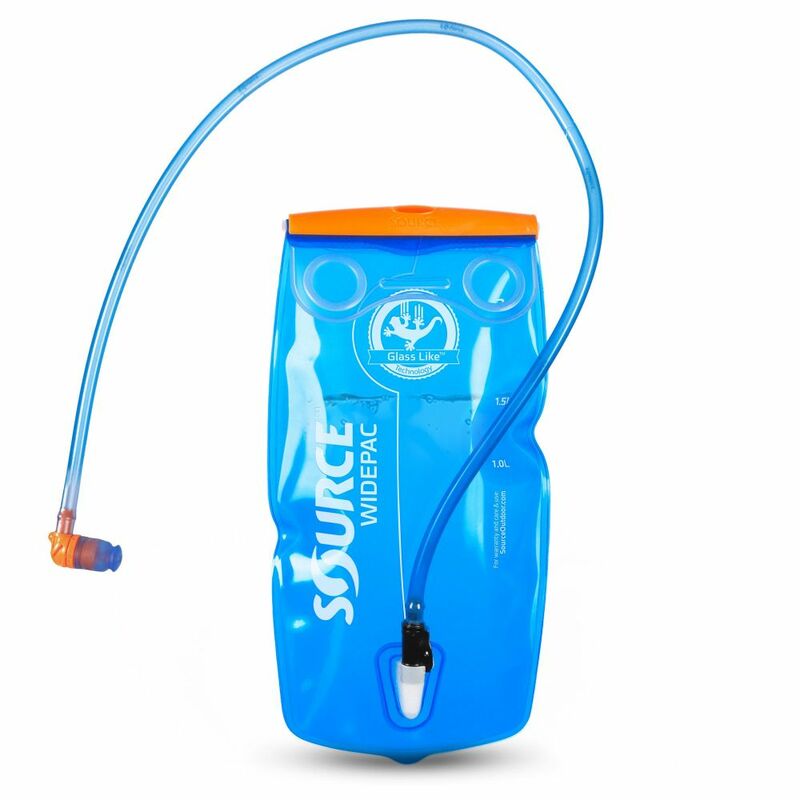 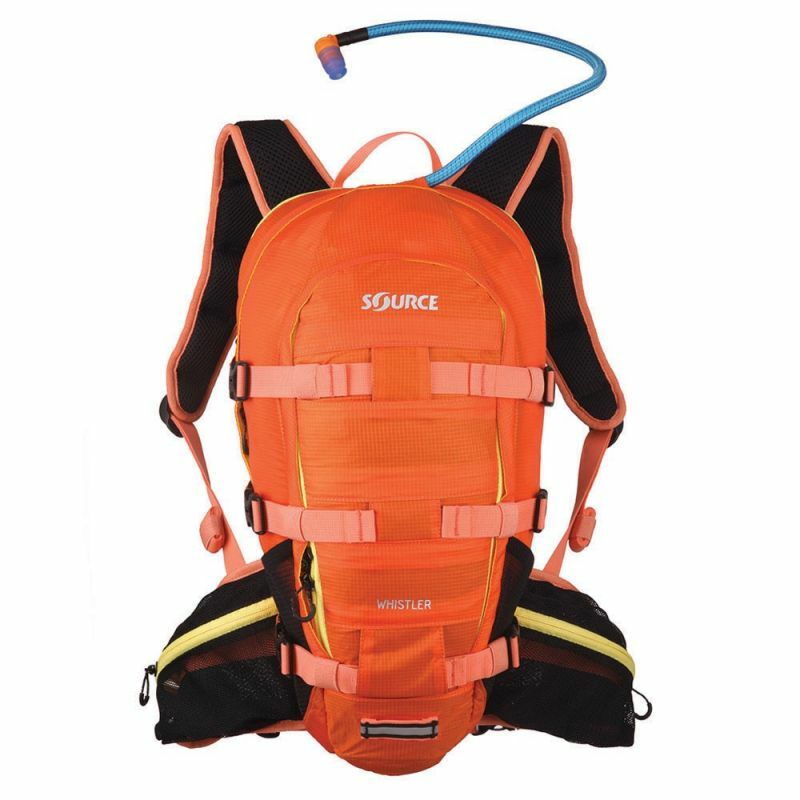 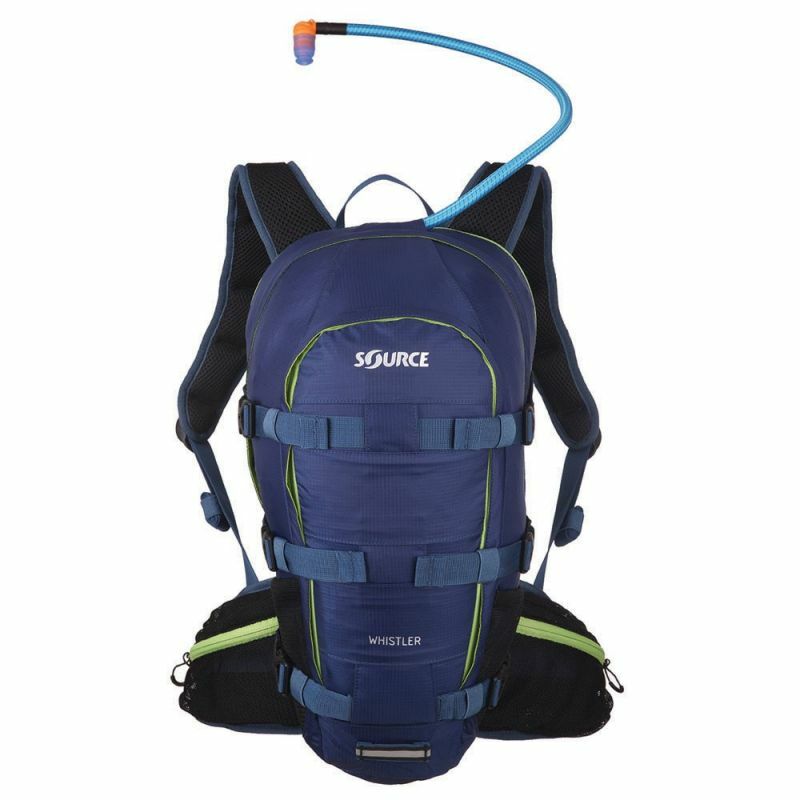 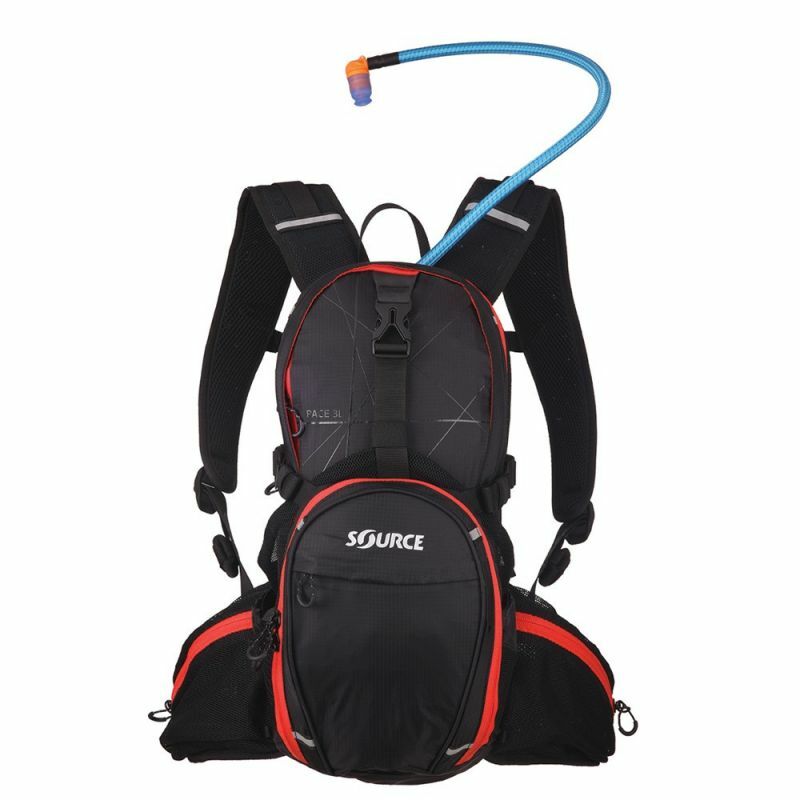 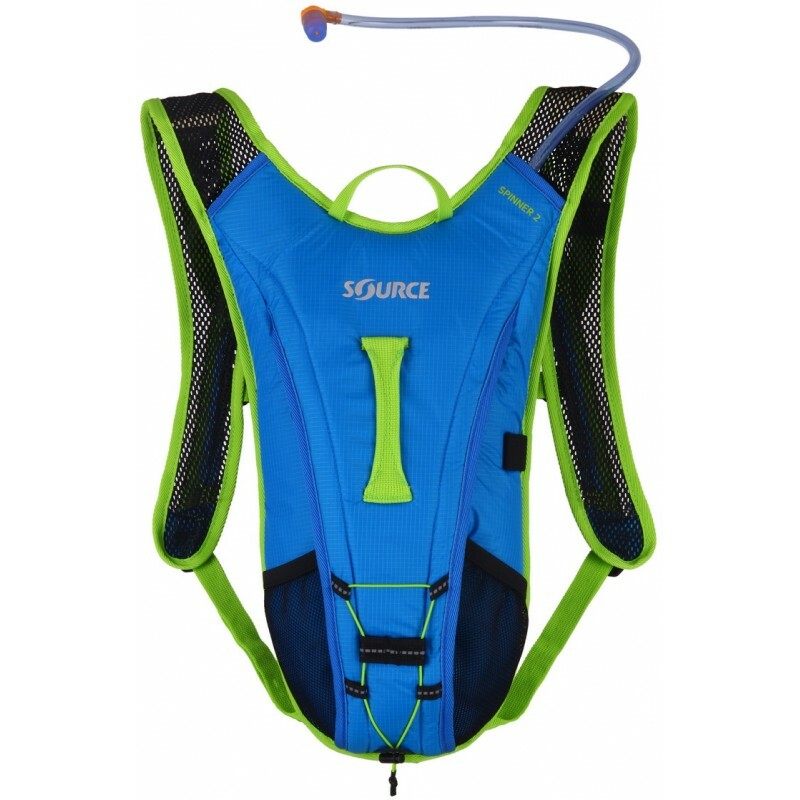 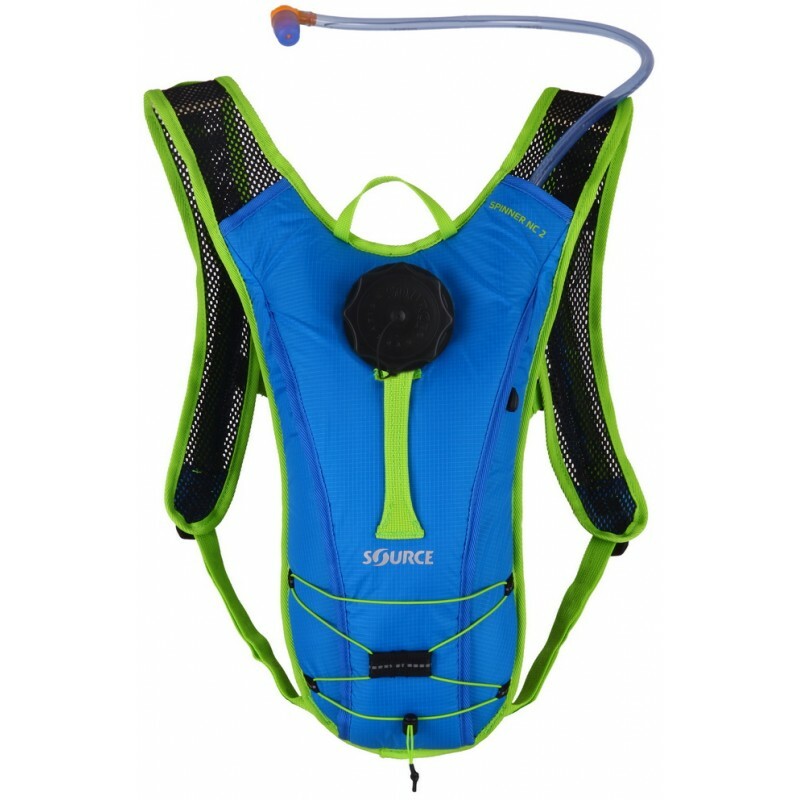 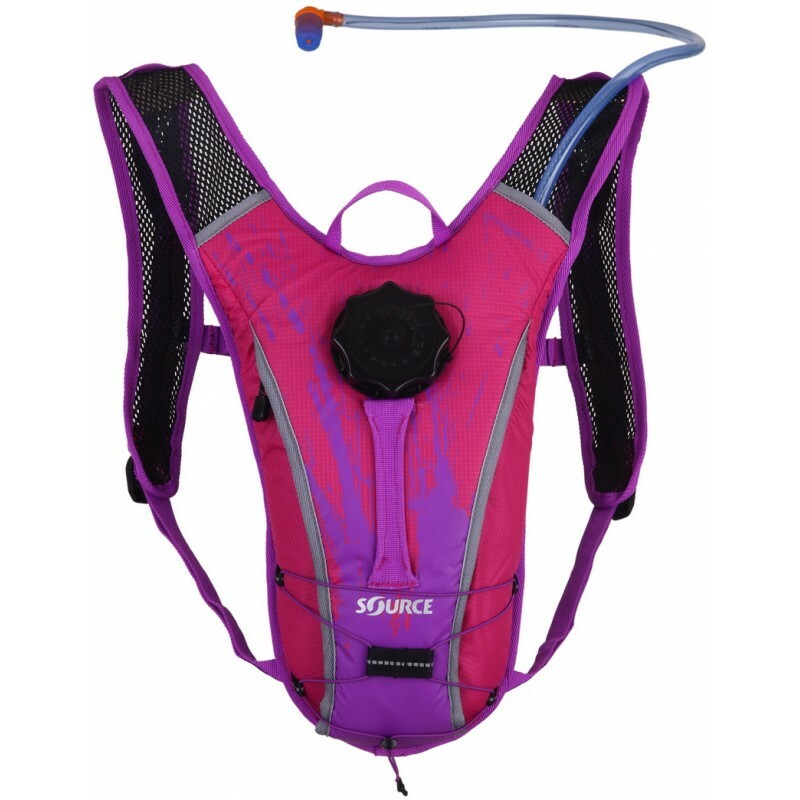 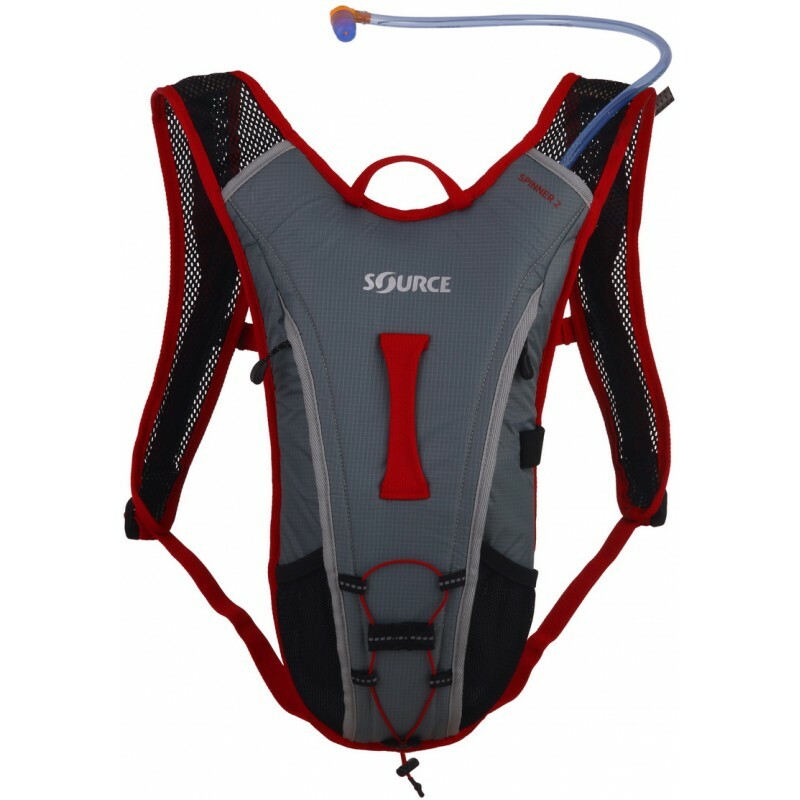 The Race comes with all the advantages of our 3L / 100oz SOURCE Widepac Hydration System. 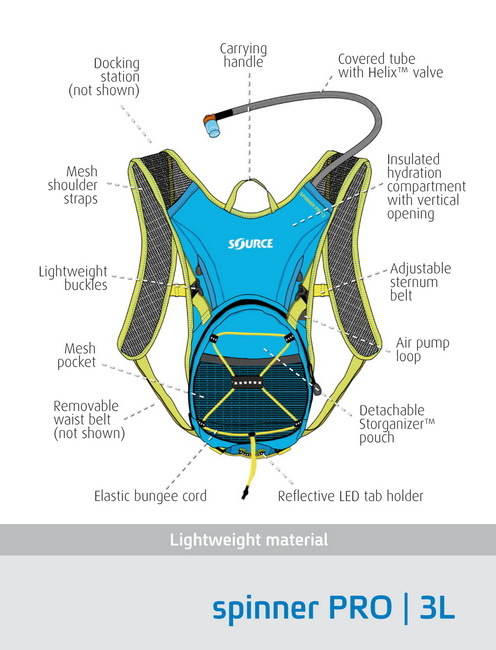 The Race is designed and built for all endurance sports, biking, trail running, kayaking, you name it. 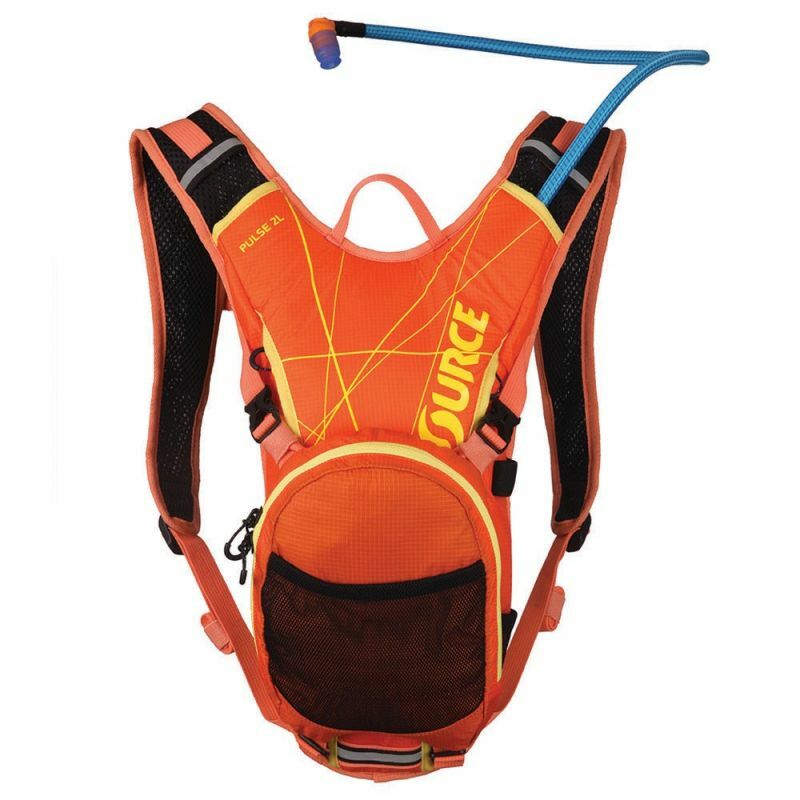 Adventure Runner Richard Bowles covered thousands of KMs on rugged trail with the Race for hydration and nutrition on the move. 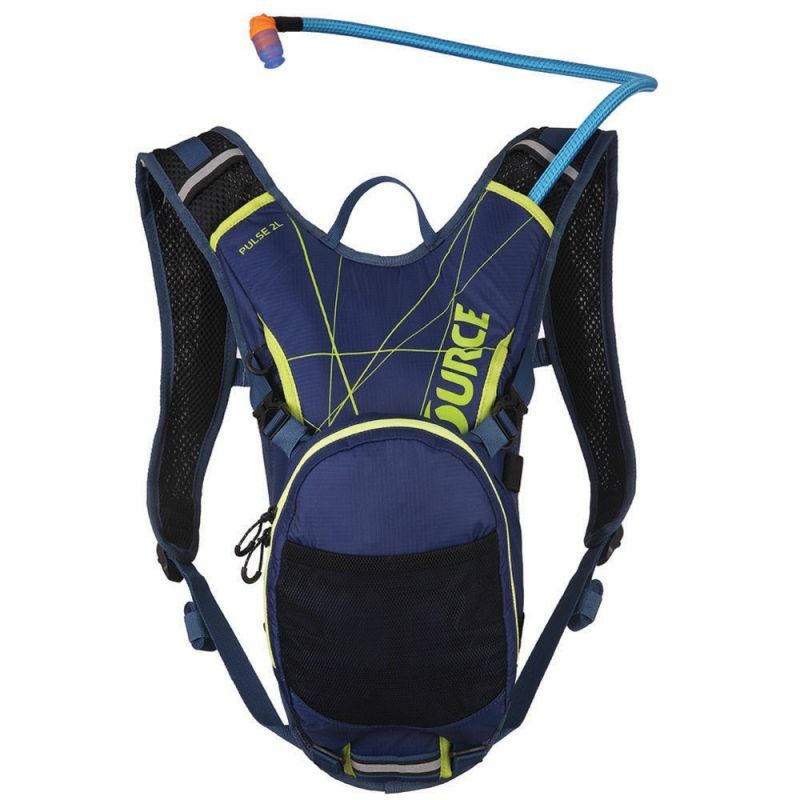 The Race features easy access pockets and enough space for essentials, nutrition and tools. 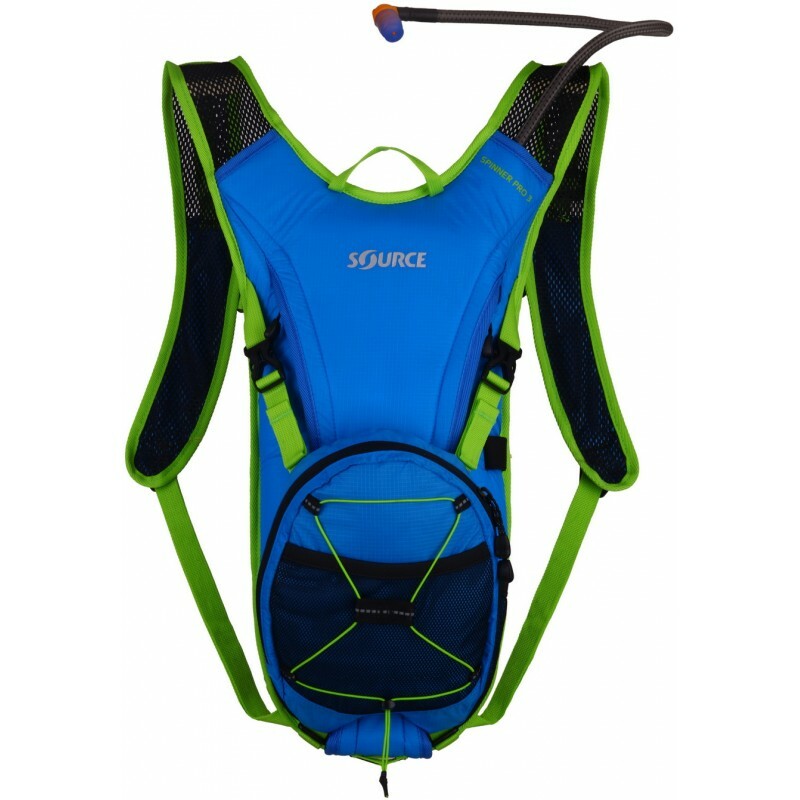 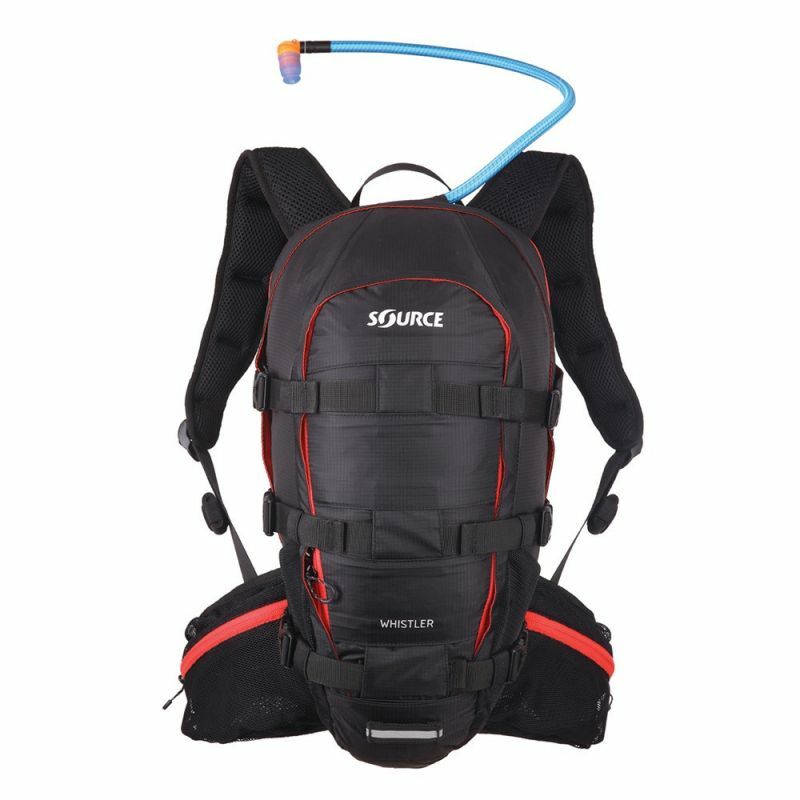 The Whistler is our ultimate freeride hydration backpack designed by pro riders for SOURCE. 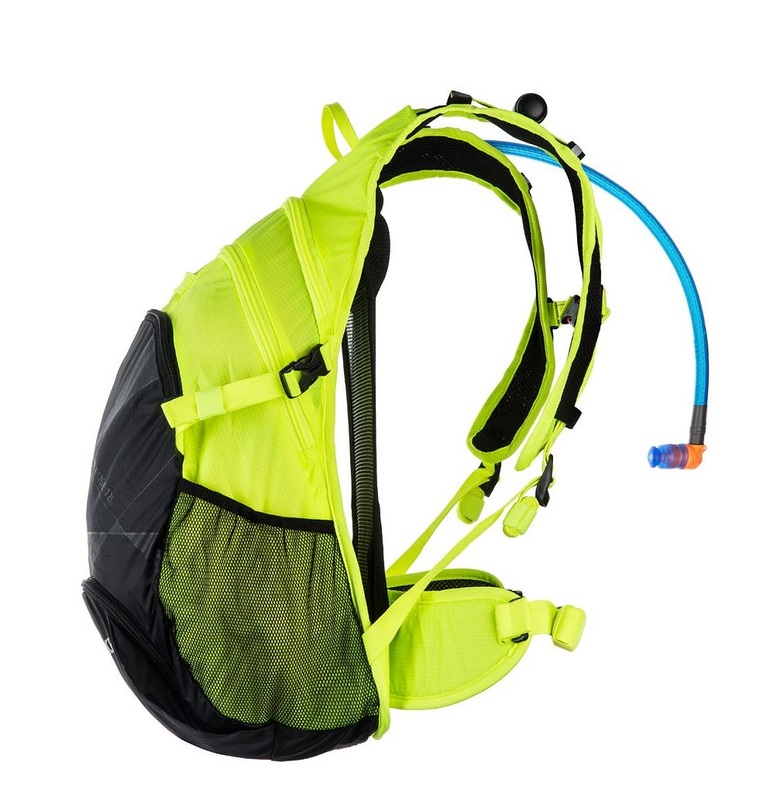 It holds up to 3L of Hydration and 20L of Cargo and it features a rain cover, helmet sling and many other practical features to store protectors and any other gear needed on the trail. 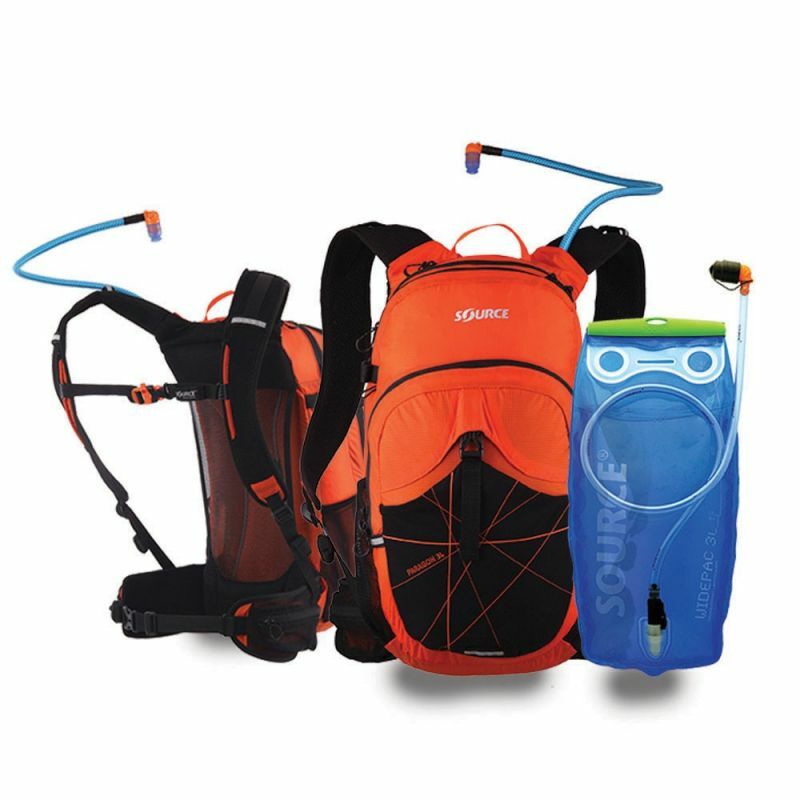 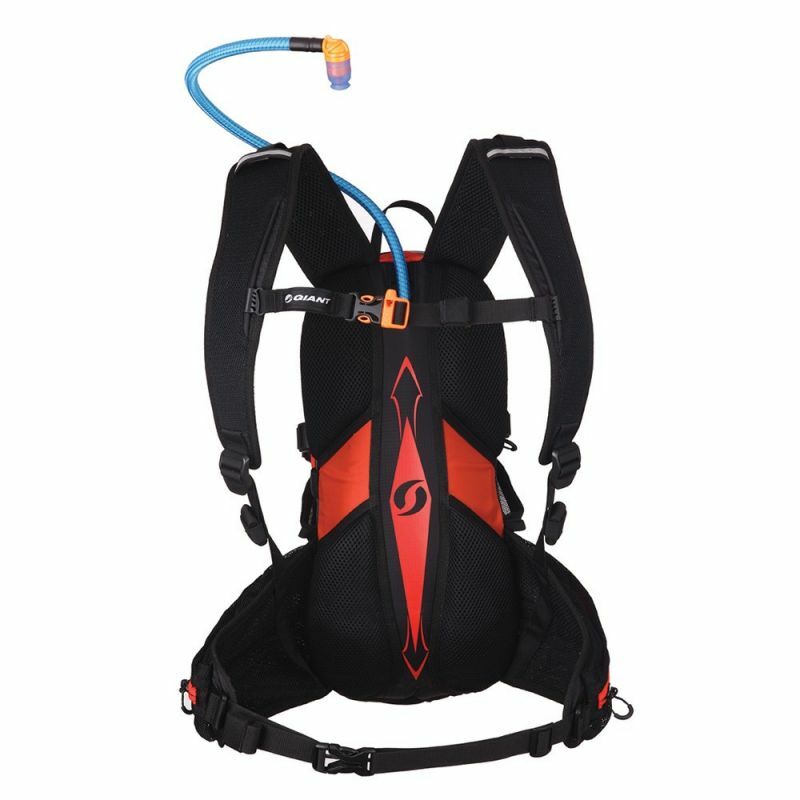 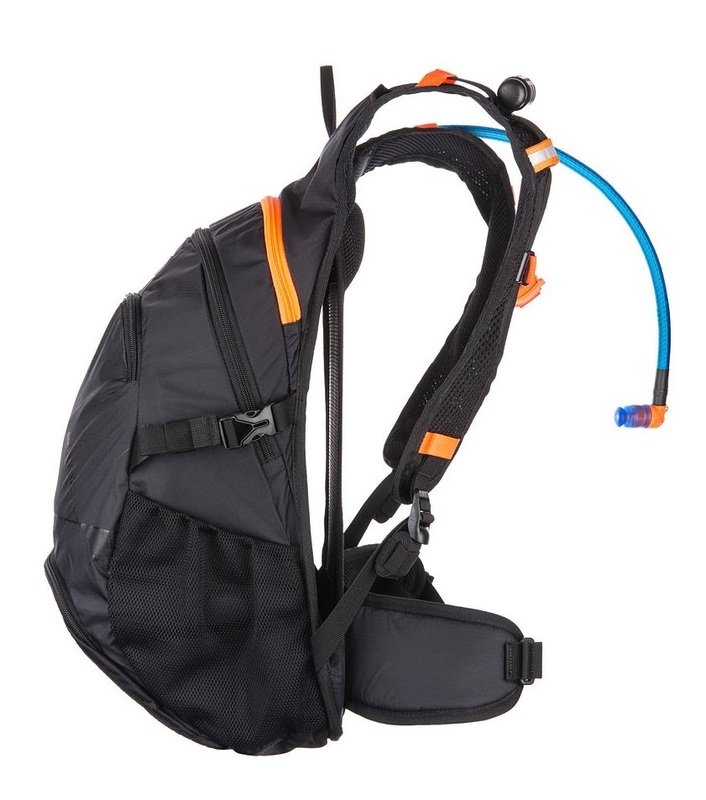 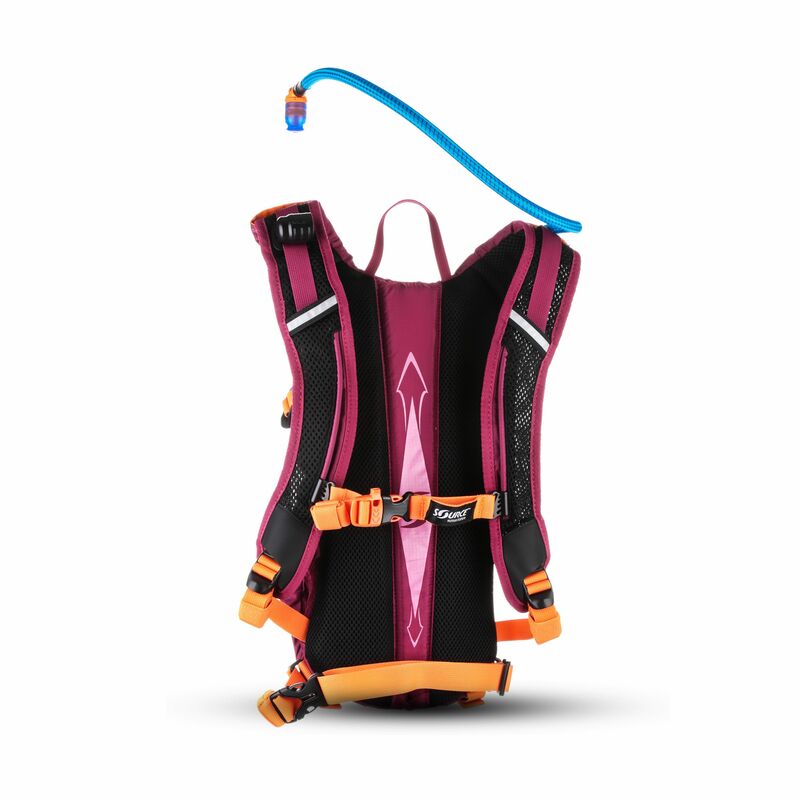 The ultimate freeride hydration pack! 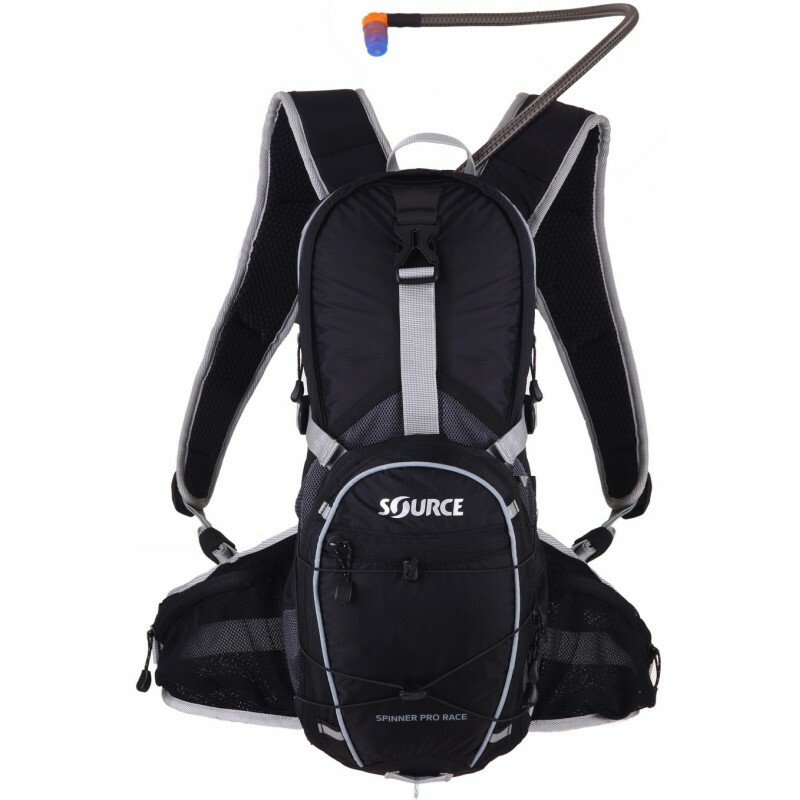 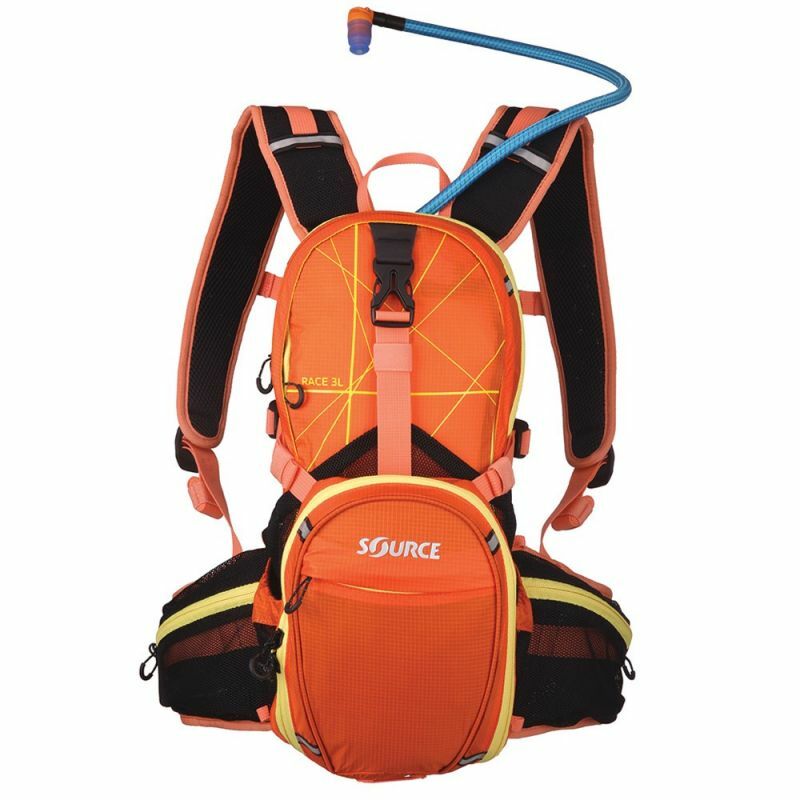 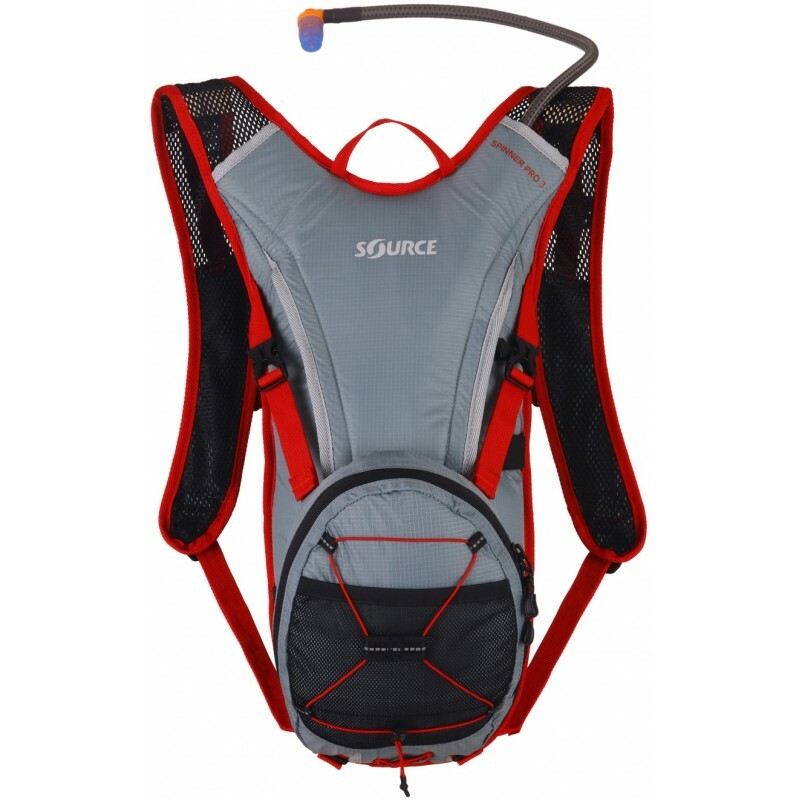 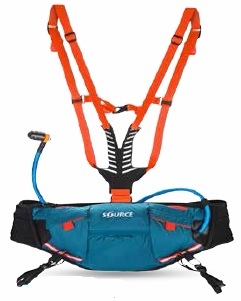 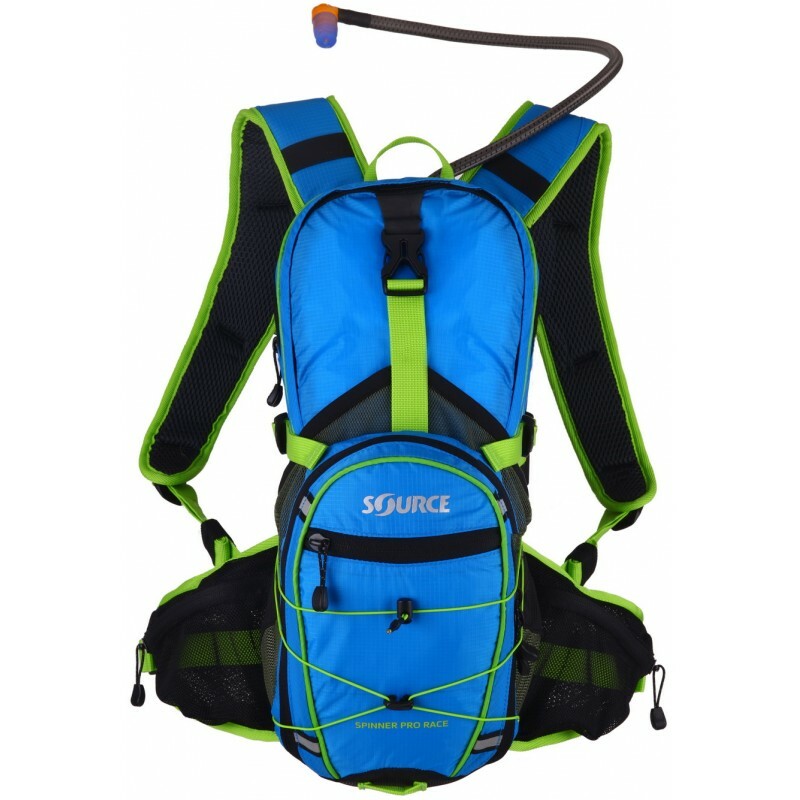 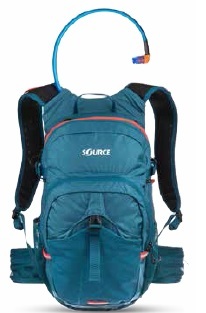 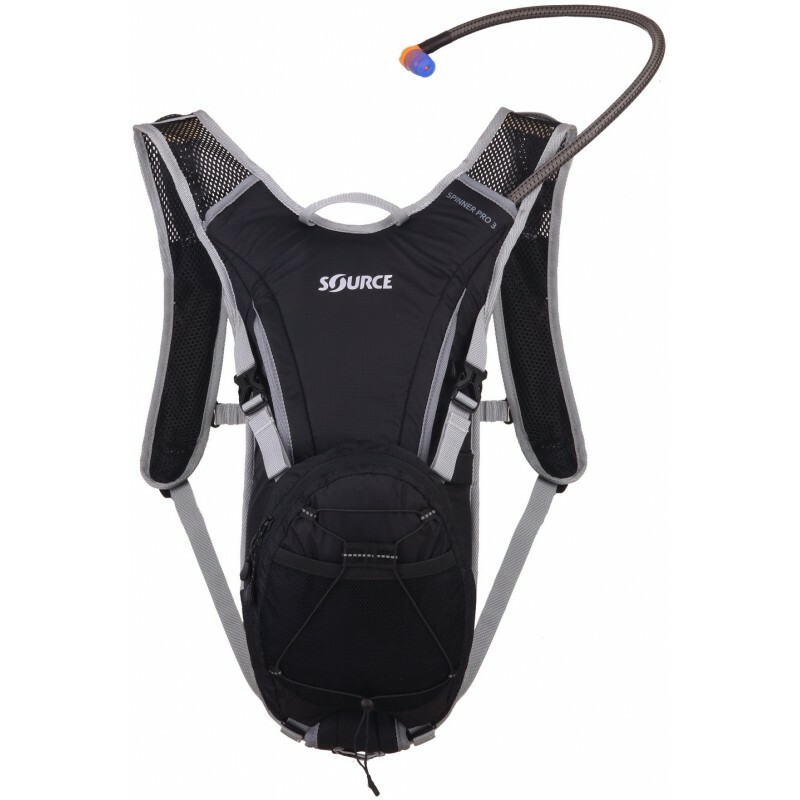 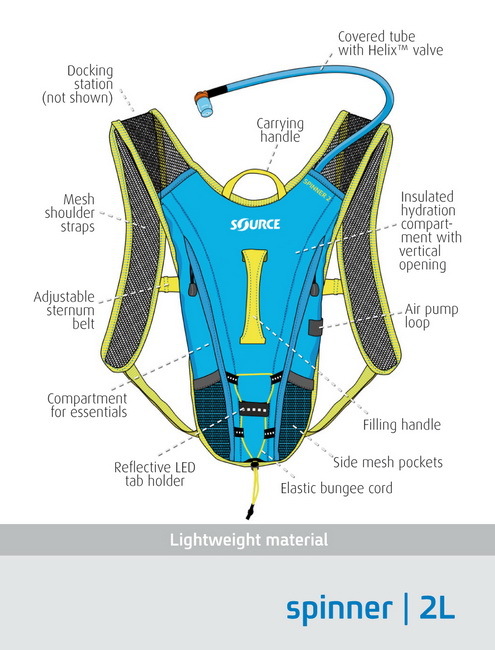 Lightweight, clean design, incorporating Source’s latest pack and hydration technology. 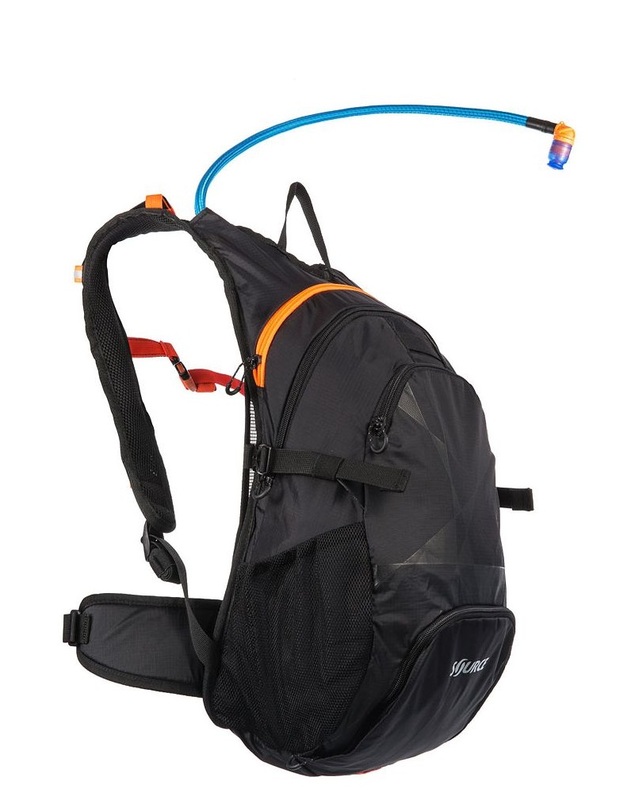 The Whistler is designed by pro riders for pure freeride sessions. 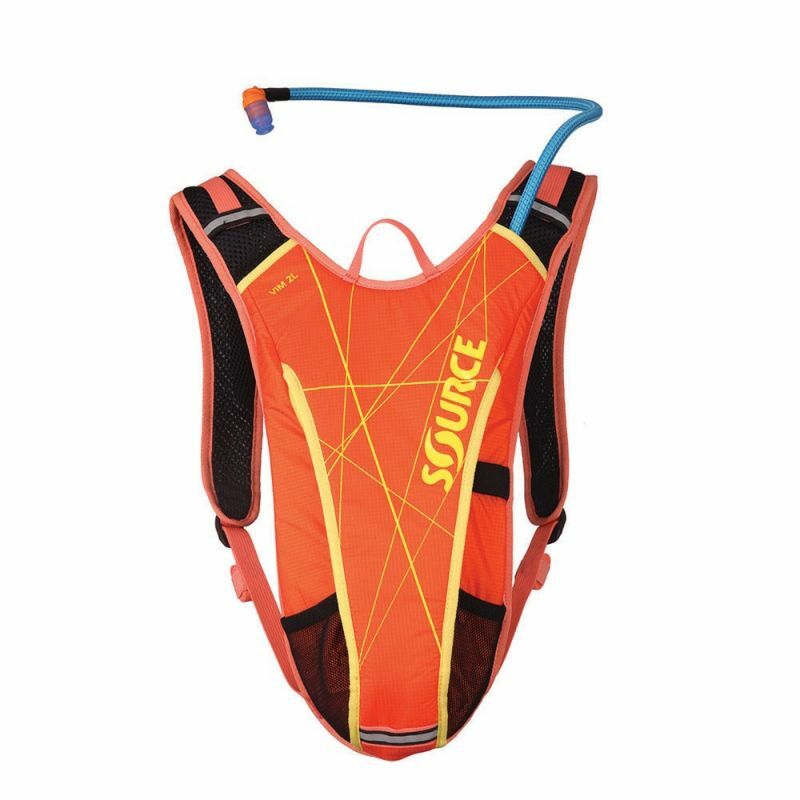 Extra-long straps secur helmet and pads when not in use. 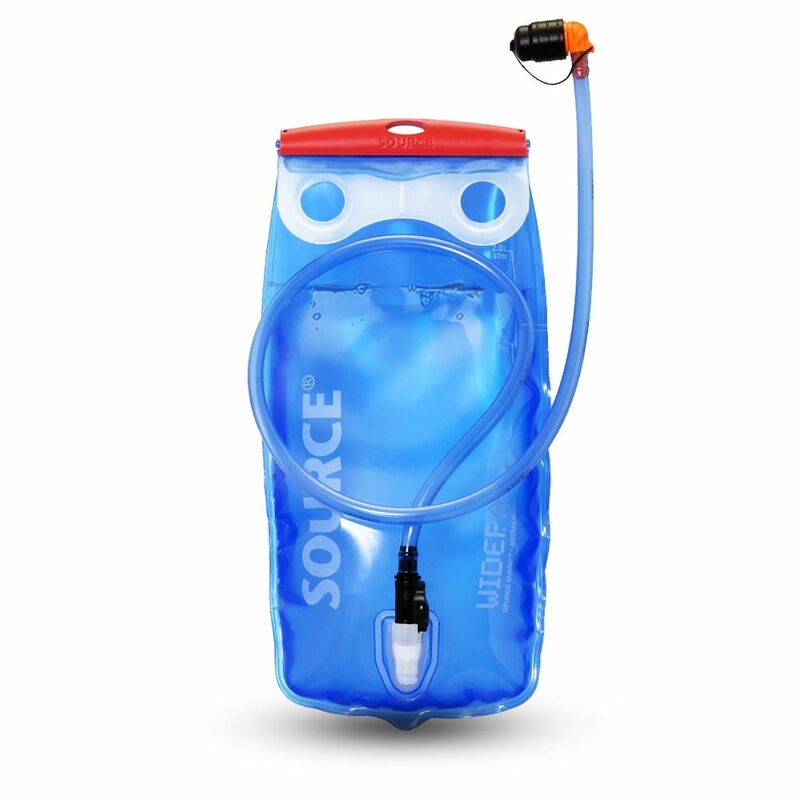 Most innovative, smart and successful design, the Widepac Hydration Reservoir makes filling, cleaning and draining easier than ever, and it's 100% leakproof. 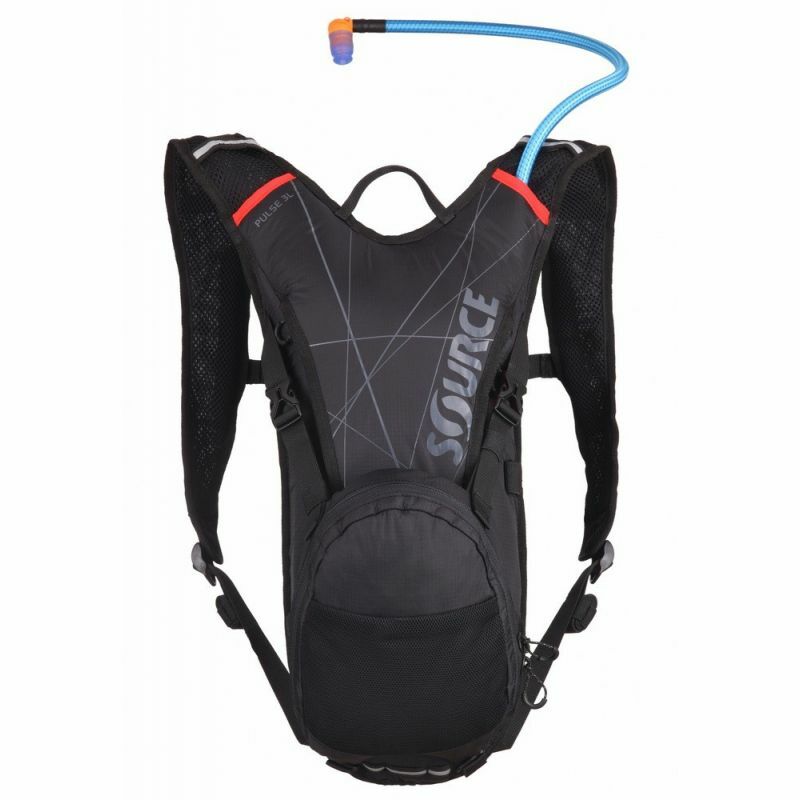 The new Widepac LP Low Profile 2L SOURCE Hydration System keeps its low profile shape no matter how full or empty the reservoir is, thanks to the baffle wall in the center.